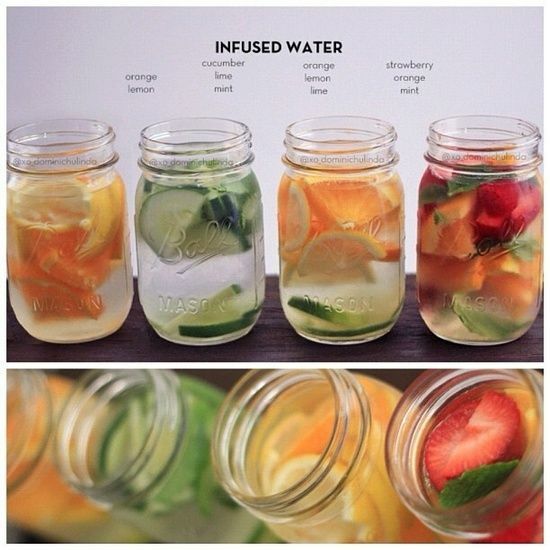 Press Release: The Nature's Co. celebrates Independence Day! - Divassence! Press Release: The Nature’s Co. celebrates Independence Day! As 2014 mirrors the calendar year of 1947, The Nature’s Co. re-lives the era with glee. It is a surreal coincidence, the likes of which rarely happen and go down in the annals of history when they do. In an interesting case of history repeating itself, the calendar year of 2014 is a replica of 1947, the year of India’s Independence as the combination of dates and the corresponding days of the week repeat themselves on the almanac. 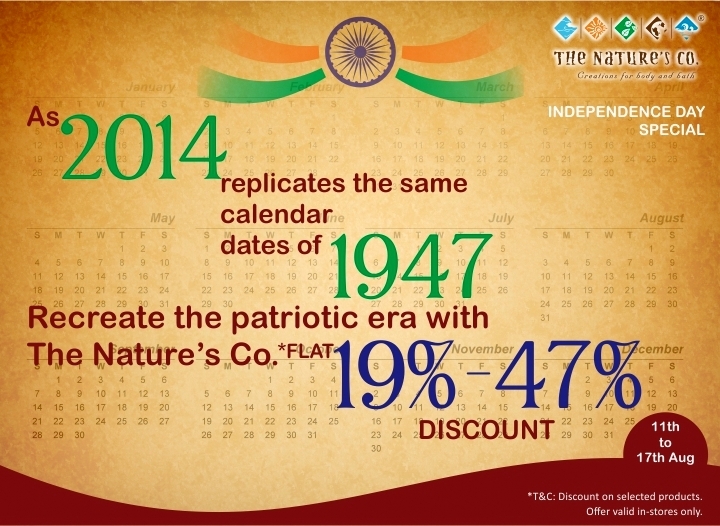 15th of August 2014 marking the same day as in the Independence year of 1947, The Nature’s Co. attempts to get back those days of patriotism and celebrates the spirit of freedom by offering a rebate of 19% – 47% on their vast range of natural bath and body care products. Recreate the aura, feel the love for your country and free your senses at this time of freedom at all The Nature’s Co. outlets till the 17th of August’14. *T&C: Discount on selected products. Press Release: Spread the love with these fabulous deals from TNC! Press Release: TNC Founder unveils beauty essentials at work in the “Gorgeous 9-to-5 Beauty Wish Box”! You may also like reading: Katrina Kaif is the new face of L’Oreal Paris! 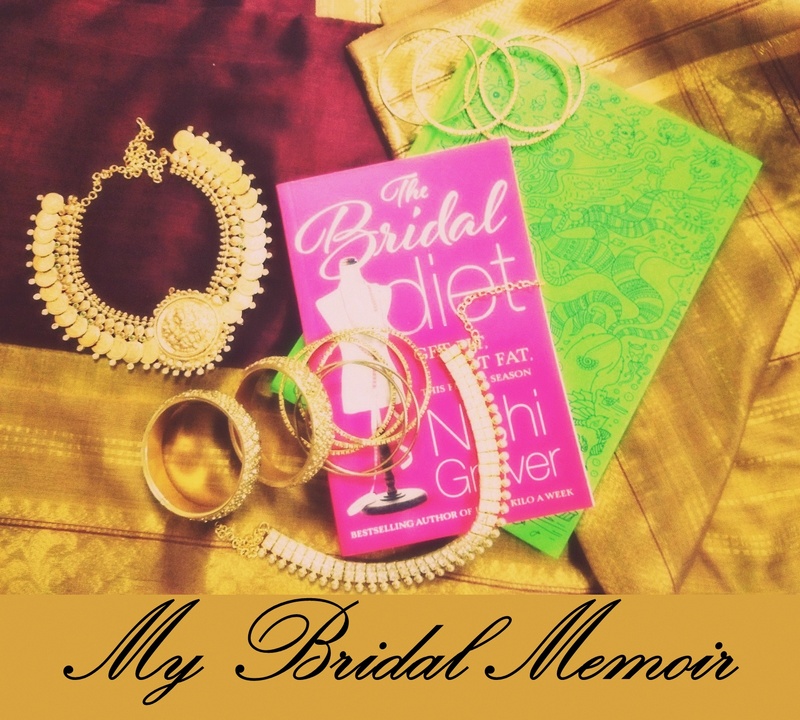 ← The Jhumka Diaries: Haul time!